Mr M Saidul Haq is a certified management consultant (CMC) from Australia and a well-recognized research and consulting professional globally. He advises senior management on corporate strategy and planning, investment feasibility studies, regional economic development, market assessment, organizational reviews, project planning and implementation and assists at board level with facilitation, pricing and negotiation. A leading consultant of Bangladesh, Mr Haq has undertaken hundreds of research and studies on business, social and development issues on diverse fields during last about 35 years for various international organizations, including UN organizations, World Bank group, Asian Development Bank (ADB), European Union (EU), USAID, DFID and many international NGOs and multi-national business enterprises in Bangladesh and other countries of the World. Mr Haq is the founder and President/CEO of SRG Bangladesh Limited (SRGB), a leading multi-sector and full-service research and management consulting firm based in Dhaka providing services in Bangladesh, Bhutan, Nepal, Sri Lanka, Maldives, India, Pakistan, Myanmar, etc. A Fellow (FIMC) of the Institute of Management Consultants Bangladesh (IMCB), Mr Haq also is a Fellow (FCIM) of The Chartered Institute of Marketing (CIM) of UK, the top marketing professionals’ organization of the world. He graduated (MBA) from the Institute of Business Administration of Dhaka University in 1982. Mr Haq is actively involved with many professional, business and socio-cultural organizations and societies of Bangladesh and abroad. He is the immediate past Chairman of the Global Advisory Council of Mystery Shopping Professionals Association (MSPA) and immediate past President of MSPA Asia-Pacific. 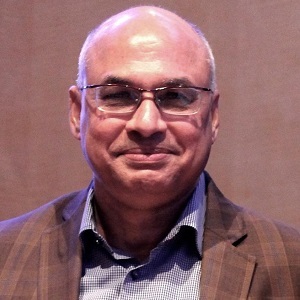 He is also a Council Member of the Asian Network for Public Opinion Research (ANPOR) and a Trustee of the International Council of Management Consulting Institutes (ICMCI) and Founder of the Institute of Management Consultants Bangladesh (IMCB). Mr Haq also is the Founder & Chairman of Solmaid Community School Foundation, a charitable organization providing support to the street children for primary education for self-sustaining and income generating activities. He is also the Founder/Secretary General of Nurjahan-Salam Foundation, a charitable organization providing support to the rural Poor for self-sustaining and income generating activities.